Opencart is free and open-source customizable platform for your ecommerce store. It has a huge range of features and over 13 000 additional extensions available to download. Now you can find SendPulse module in Opencart marketplace. The module allows your website visitors to subscribe for web push notifications. 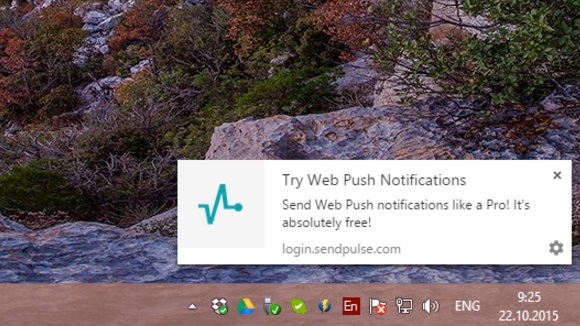 You can send web push notifications to drive visitors back to your website. Web push notification includes a title and a short message. You can quickly inform your customers about news, sales, order statuses, and other events. Here is how subscribers will see it on their computers. Install SendPulse Opencart module for Web Push Notifications.